Vitalik Buterin, the 23 year old inventor of Ethereum, knows well that images can communicate far more than words. His hardfork cafe t-shirt, for example, right after ethereum’s controversial Slockit DAO hardfork in 2016, struck a defiant attitude. The hard-fork cafe told all far more than any words could have said. He clearly thought the hardfork was the right decision, he stood by it, and more than that, he cheered it on after it happened. Time proved him right, and the critics very wrong. So when ethereum was attacked in September 2016, his choice of tee was a cat in a boxing position. So telling all, eth coders were ready to fight in the war of skills. Which they won, with ethereum roaring this spring. But the t-shirt he wore yesterday at TechChrunch disrupt was slightly different and packed with imagery. We don’t assume this specific choice is random, or that he just likes the shirt. We think the multi-millionaire boy genius is saying something and, it so being our luck, we are tasked with deciphering it. An ancient Greek cat riding a unicorn llama. The ancient Greek cat wearing reading glasses is obviously wisdom, or knowledge. It looks a bit like the Cheshire Cat in Alice in Wonderland, telling us that nonsense can make sense. That’s when we’re immediately met with a very nonsense figure. A llama unicorn. Llamas, by themselves, are somewhat of an interesting creature, so having presumably evolved from sheep by the looks of it. In short, they are, not quite the ordinary people, but sort of, so being stirred by the cat, which seems to be lost in thought. That they are not ordinary is emphasized by the unicorn aspect. They are a heard group, but of somewhat superior intelligence, somewhat special, in the good meaning of the word, standing out from others, but all standing out in a similar way. Now the UFOs we can interpret in two ways. They are ships, and white. They also seem to be in a line formation, seemingly moving towards our direction. The simple interpretation would be that all of this is happening in a different universe. While a second level interpretation would be a call to look at the sky and open imagination to what could be. Because to the right, there is the familiar rainbow, which tells us it’s actually all happening here. With the rainbow itself reminding us of the wonders of earth. For the somewhat general Disrupt SF 2017 audience, there couldn’t have been a better tee. It’s obviously telling them there’s this strange blockchain world full of wonder. On a second level, he is also saying there is much nonsense in this space. 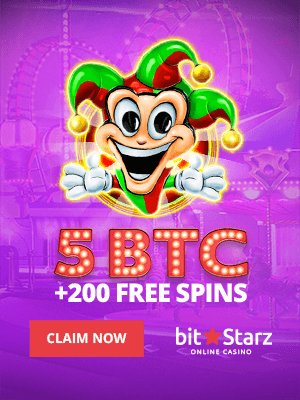 In particular, he is presumably pointing to ICOs with the llama unicorn. That’s because, otherwise, he could have chosen an actual unicorn. His wealth would have easily allowed for such custom design. 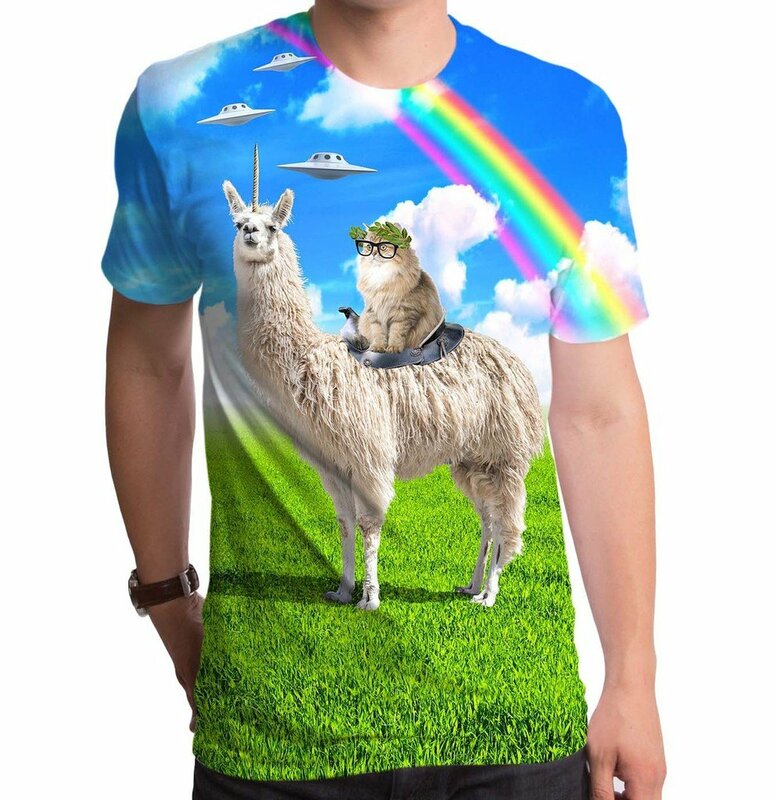 But we suspect it is precisely because of the llama unicorn he chose this specific tee, above any other reason. Our design would have preferred flying cars, rather than UFOs. They are somewhat pointing to that, but UFOs alert senses. It makes one wonder whether they are actually a threat, especially due to the line formation and because they appear to be moving in our direction. As they are white in color, we assume they are harmless or neutral, but if we had to choose between the left or right side of the tee, we’d feel far more at ease with the rainbow. At this point, we could easily move towards imagining the entire planet. And in our preference there would be a nice river going through a fantastic city with all sorts of other seemingly nonsensical, but perfectly normal to the inhabitants, things or creatures. So entering a new world, the blockchain world. Where strange is normal. What may be new to the TechCrunch audience, is old and common, as well as very familiar. It’s a big statement and since we are inhabitants of this world, we aren’t well placed to judge whether its true or not. But we do recall our first impression of ethereum, and strange wasn’t one of them, but wonder was.